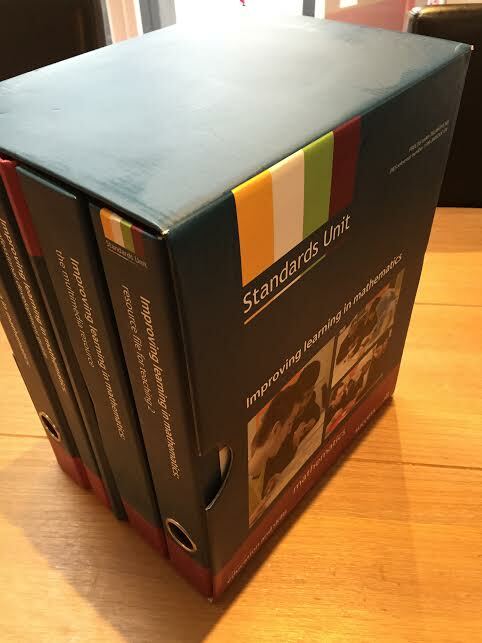 The Standards Unit was one of the first resources I was introduced to during my PGCE (I even have my own Standards Unit box at home - taking up far too much space!). It surprised me recently to hear that some maths teachers aren't aware of it. I think of it as a classic. Perhaps the shift away from traditional university-based training towards more schools-based ITT means that there's less consistency in what teachers are told about during their training. 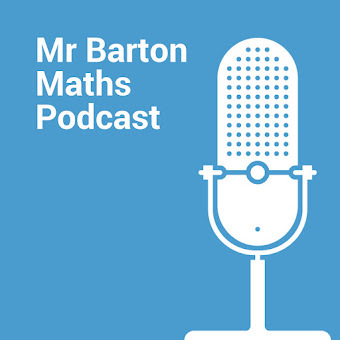 I'm now a Lead Subject Mentor in a SCITT and will ensure that my trainees are made aware of all the best sources of maths resources - but of course that will be entirely based on my own opinion of what is the 'best'. There is no universal list of things that trainee maths teachers should be told about. 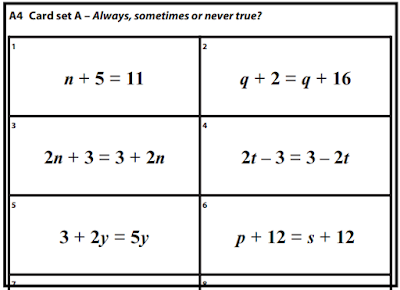 In this post I list five 'classic' maths resources. I assume that all maths teachers already know about these websites, but if you don't then you're about to discover some treasures! The brilliant Mathematics Enhancement Programme from the Centre for Innovation in Mathematics Teaching offers an extensive collection of exercises for all key stages. I used this website so much in my NQT year that I ended up buying the set of textbooks to flick through (order form here). 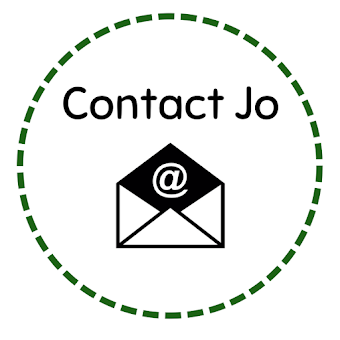 Since then, Craig Barton has very helpfully provided links to CIMT's material on his website - organised by topic instead of by book, making it easier to locate what you're looking for (the answers are there too). 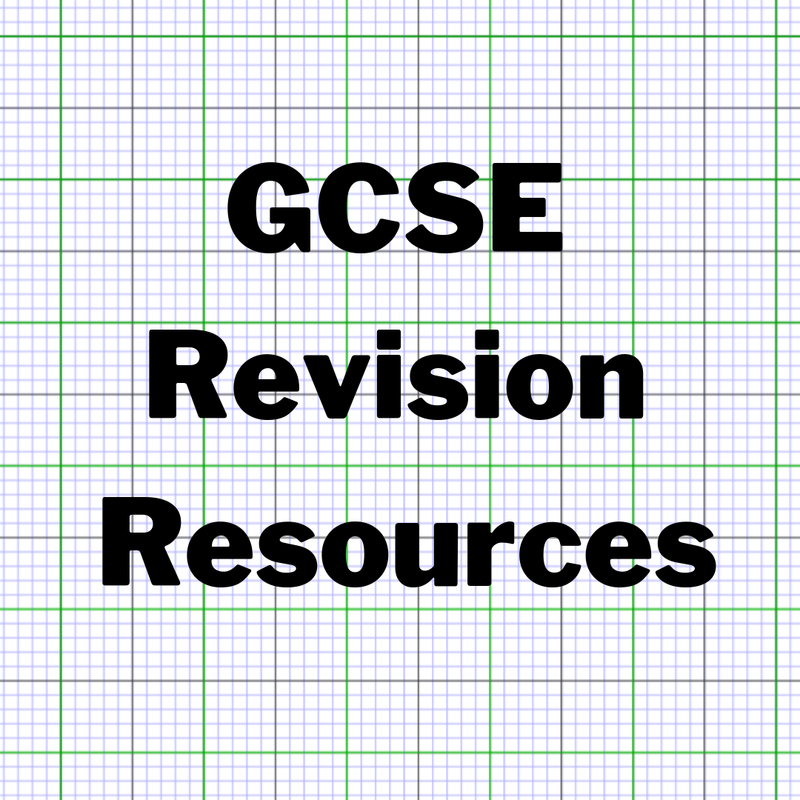 For example if you're teaching vectors then you can access all the vectors material through this link, including worksheets, problems, activities and assessments. The exercises and examples are all high quality so I often use extracts for my slides and classwork. For example, I've used the Place Value unit to help me plan my first week of lessons with Year 7. CIMT's primary resources are excellent too, and may be suitable for some secondary students. Malcolm Swan's "Improving Learning in Mathematics" resources (known as the Standards Unit) are brilliant. For years I just used the activities at the back (often card sorts), but then I discovered that the lesson ideas and questioning prompts are also incredibly helpful. 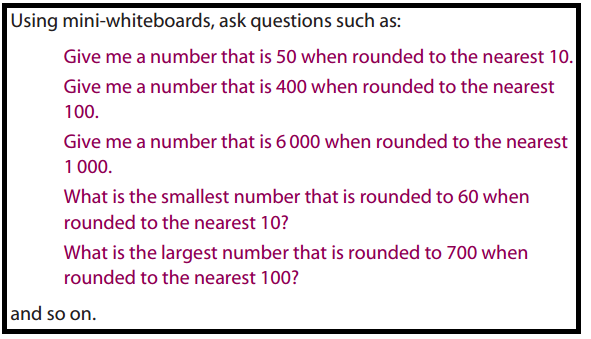 mature_maths_trainee on TES has put the Standards Unit activities into a 'classroom ready' format, including PowerPoints and activities. Other classic resources, including the Mathematics Assessment Project (which is like an American version of the Standards Unit), Bowland Maths and 'the Red Box' can be found at Shell Centre - see my post 'The Hidden Treasures of Shell Centre' for more about this. Frank Tapson's resources at Teacher Resources Online are reliable classics. Highlights include Pages of Puzzles, Searches and Crossums and Codes and Ciphers. 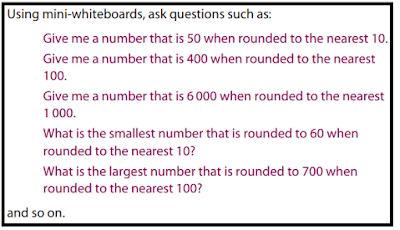 There are also plenty of curriculum resources, including great stuff for arithmetic, circles and trigonometry. I always find the 3D trigonometry questions very helpful. Other treasures include a guide to multiplication methods, a formulary for mathematics (which includes a lovely clear list of mathematical symbols) and MisMaths - a collection of maths mistakes made in the media. I particularly like the delightful dictionary exercises and vocabulary exercises. There are a few things that put people off using TES for resources: the large number of resources (they can be time consuming to search through), the fact that some resources aren't free (the vast majority are still free though), and the big variation in resource quality. But there are so many excellent resources on TES, I continue to use it fairly regularly. I'm no expert resource maker, but whenever I make something that I think might be useful to other teachers I upload it to my TES 'shop'. I'd encourage every teacher to do the same. Collaboration is important in our profession - sharing resources ensures we don't all waste time reinventing the wheel. Some popular TES maths resource authors include alutwyche, Dan Walker and SRWhitehouse. 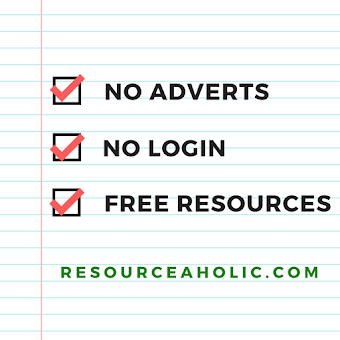 I can't list all the good authors here - there are hundreds of authors who make really great resources and share them on TES for free. In my post 'Favourite Problems' I listed a number of websites that specialise in problems and puzzles - Nrich is considered to be one of the best. 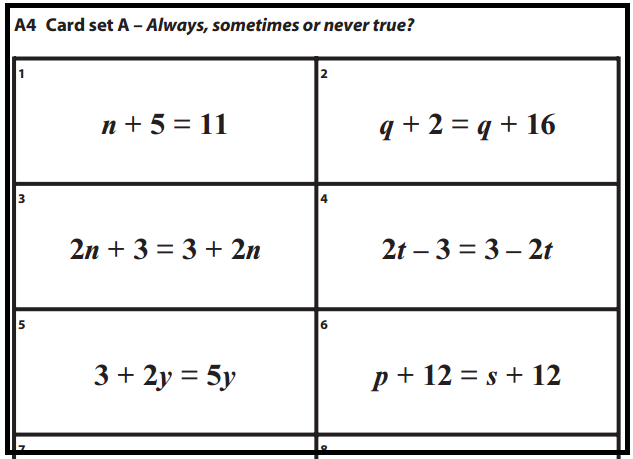 I'm sure that experienced maths teachers reading this will have their own list of 'classics' - do let me know in the comments below. For example I know that GAIM tasks are very popular. 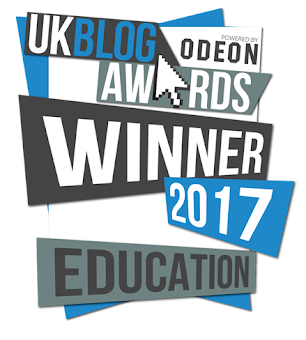 If I were to list every wonderful maths resource website that I know of, this post would be incredibly long! 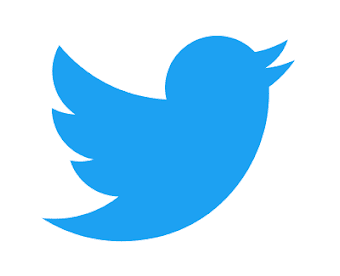 Some relatively new websites, such as Median Don Steward, Underground Mathematics and Corbett Maths are certainly modern classics - every new maths teacher should be aware of these resources, and many more. Resources are not the most important thing we need to know about as maths teachers - subject knowledge and clarity of explanation come first - but high quality resources can enhance our teaching. So let's keep spreading the word about these classics. The complete Improving Learning in Mathematics Collection is available on The National STEM Learning website at https://www.stem.org.uk/cx4vp.